NFC has facilitated scores of business to provide seamless and nearly invisible payment process at the final check out and provide positive customer experience. NFC is a mobile app-based payment system that is quickly making its way in a variety of business verticals including retail, hotel, lodging, food and beverage industry. Besides offering seamless checkout experiences, NFC is also helping online merchants benefitting them in several other ways. For example, all major mobile solution providers such as Google, Apple, and Samsung have started to give additional value-added services capabilities to Merchants. These additional value-added services enable the merchant to integrate their own loyalty program and couponing services into the mobile payment solution and thereby provide extra value to their customers. Such value-added services capabilities are highly beneficial for online merchants. Since this helps them drive loyalty programs and other schemes to drive impulse purchase. The deals are pushed on the customer's devices rather than promoting them through other expensive channels. About one-third of all smartphone users have used mobile wallet on their devices for one or the other reason. The usage of the online mobile wallet among online shoppers will continue to rise as more businesses continue to make the option available. In the near future merchants will have to accept all mobile wallets to cater to every kind of customer. It only makes sense for merchants to start thinking more seriously about mobile wallet application development. 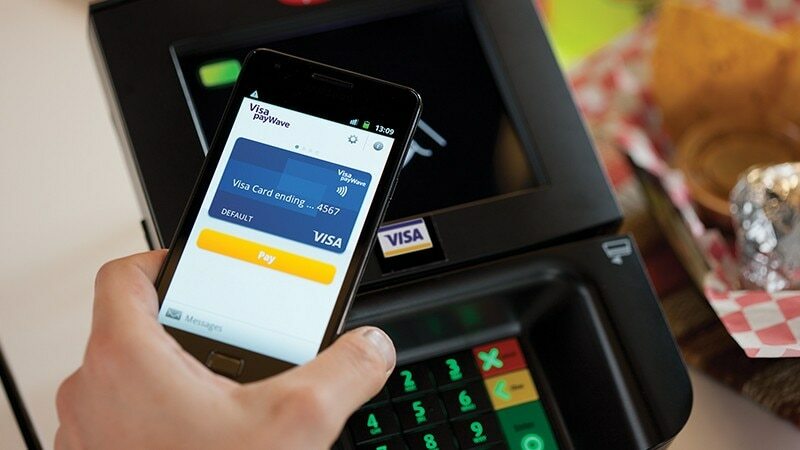 NFC payment app or NFC wallet is the future of mobile-based payments solutions. Big brands with massive customer base such as Starbucks, Walmart, and Target have one thing in common. They all have their own mobile payment applications which have contributed positively to their overall success. However, this might not necessarily be the right move for the great majority of businesses. In the above example, all three companies have massive audiences who are already using their existing mobile application. It was relatively easier for them to integrate payment component into their existing mobile app. Building your own mobile wallet has its own potential benefits. However, it has its own challenges as well which all merchant may not be able to manage. NFC payment app offers the same benefit as having your own mobile payment app but without the challenges. You should consider the fact that application such as Apple Pay, Google Pay is designed to cover most potential users. It also comes pre-installed on the majority of smartphone devices. Customers are also familiar with such payment app because they are already in use by a variety of different businesses. It makes sense for consumers to use existing NFC payment app on their device then to download your application. NFC payment app has made mobile wallet application development easier and much streamlined. Most wallet app developers are already familiar with mobile wallet application development. Therefore integrating NFC payment app into your existing online business won't cost much development time. Your customers will also be happy because they don't have to download another app on their devices. They will also feel secure making payment since they may have already used on demand app development for other utility payment. Seamless checkout experience - Mobile wallets are quick and easy to use. Since NFC payment app already has all the data regarding the customer, users don't have to manually feed data every time they have to make payment for their purchase. Mobile payment app transports the data wirelessly to the payment gateway and receives authentication. This enhances check out efficiency for stores during peak hours and enables them to serve more customers efficiently. Security - NFC payment app is a highly secure payment method. It uses a high level of encryption and tokenization to protect shoppers information better than physical cards. Loyalty program - NFC payment app allows merchants to offer their users additional value added services such as loyalty program. Merchants can directly integrate loyalty programs into the mobile wallet acceptance solution. This allows merchants to attract repeat visitors and entice them to buy more products. Improved brand image - besides being highly secure means of online payment, it also helps merchants look more professional and tech-savvy. Selecting the right payment option can be critical to your business success. This is also an important question to consider while deciding one mobile wallet over another. For example, you may consider the advantages of accepting Apple Pay over Samsung Pay, etc. In an ideal situation, a merchant should be able to offer all payment options to their customers. This will ensure that the customers are able to pay according to their preference regardless of their smartphone platform. The nitty-gritty of running an online business greatly varies from merchant to merchant and depend on the array of factors. Therefore, deciding the best payment option for your business without considering all factors can quickly get murky. Professional guidance can help you decide on the best payment option for an online business. For certain users, custom payment app may be the best option. However, given the kind of challenges they come with, most merchants may not be able to manage them. So it is better to stick with NFC wallet app.